On the coattails of yesterday’s report revealing the forest industry’s profound role in the BC economy, 670+ COFI delegates received updates on: the risks inherent in the US-China relationship; the poor prospects of a softwood lumber deal and the slowing economic outlook for BC, Canada and the US. In related news: BC’s Premier has a ‘new vision for forestry ‘ in the Interior; and BC’s Forest Minister announces funding for wood promotion and forest enhancement. In Forestry/Climate news: reforestation is deemed critical to the Paris climate accord; US senators push for increased forest fire spending; a South Korea forest fire is declared a national emergency; and a BC bioenergy company is feeling ‘burned up‘ over slash piles. We’ll have updates from the COFI conference, including more on Thursday’s panels, reviews of today’s presentations, and more pictures … tune in Monday! Finally, here are yesterday’s #COFI2019 photo highlights and Smokey the Bear celebrates his 75th B-day (do you recognize that voice?). This week, almost 700 business, government, First Nations and community leaders have gathered in Vancouver for the B.C. Council of Forest Industries (COFI) annual convention. …On the coattails of yesterday’s PwC report revealing industry’s profound role as a driver of the economy… CEO Susan Yurkovich was quick to speak to some of the unique highlights. In addition to generating 140,000 jobs—one out of every 17 in the province—was that fact that the jobs were well distributed to every corner of the province. And fully 40% of them were in the lower mainland while 9% are First Nations. …Doug Donaldson, Minister of Forests, provided an update on the key initiatives he’s been working on and two funding announcements. …Other updates were provided on the Coast Revitalization Initiative, pending and future changes to FRPA—which included a teaser on a “new model of forest management” in Premier Horgan’s closing speech on Friday. With a crowd of close to 700 people, the 2019 COFI convention was a remarkable gathering of the “who’s who” of the forest sector. Here are some of the pictures we captured — friends and colleagues enjoying each other’s company. We’ll have more pictures on Monday. Early up on COFI’s conference agenda were two keynote speakers addressing risk & opportunity and the economic outlook for the forest sector. Robert Johnston of the Eurasia Group, spoke of the risks and opportunities from a globalization and geopolitics perspective. According to Johnston, the top risks lie in the US-China relationship, European populism (e.g., their version of America First) and the increase in non-democratic leaders around the world—particularly given the decline in US support for the institutions the West has relied on for economic order. …Jock Finlayson followed with a snapshot of the US Canada and BC’s economic outlook, which he described as “slowing”. The downside drivers being: the US housing market—which remains well below past highs; Canada’s competitiveness vis-à-vis the US—particularly in the area of regulation; and the lack of investment in machinery and equipment. To create and support good jobs in British Columbia’s forest sector, government is investing $7.9 million to promote and grow markets for B.C. wood products at home and abroad. Doug Donaldson, Minister of Forests, made the announcement in his opening remarks at the annual Council of Forest Industries conference. “Advancing new products and markets for B.C.’s world-class wood products supports good jobs in over 140 communities throughout British Columbia,” said Donaldson. “Advancing innovation in wood products and wood technology supports our strategy to maintain B.C. jobs in B.C.’s forest sector.” …A total of $7.9 million will be made available, with $5.8 million committed to activities that work to expand markets for B.C.’s wood products in Asia and North America. The remaining $2.1 million will be… dedicated to the innovative use of wood and wood building systems in B.C. The Forest Enhancement Society of B.C. is providing nearly $3.4 million to support a range of projects to improve unproductive forests or forests that have been damaged by wildfires or pests. Doug Donaldson, Minister of Forests, announced the new funding at COFI’s convention in Vancouver. …“Projects funded by the society have generated over $230 million in economic activity and supported 1,400 jobs in B.C.” …Additional funding applications related to other aspects of forest enhancement are currently being evaluated by the society. Projects funded by the society are helping minimize wildfire risks, enhance wildlife habitat, improve low-value and damaged forests, re-plant damaged forests and make fibre for green energy production. Communities large and small, rural and urban, depend on a strong and sustainable forest sector. We are proud to have tens of thousands of British Columbians working in one of the world’s greenest industries, making products that reduce greenhouse gas intensity while growing our economy. 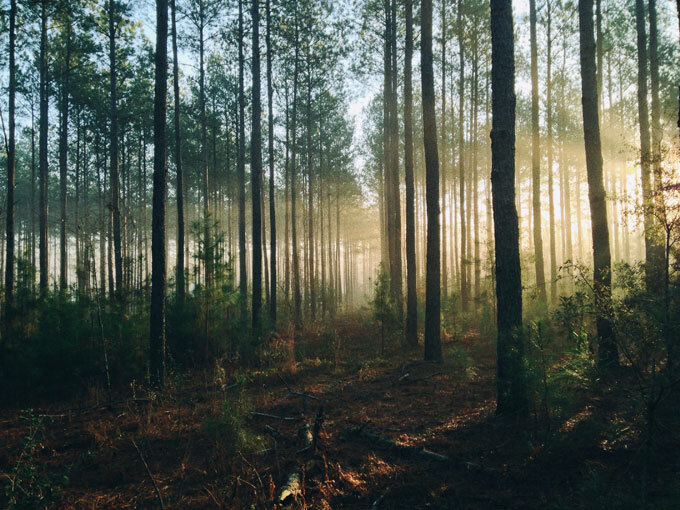 Forest companies are the anchor of 140 communities, producing renewable building materials that are in demand around the globe. Last year, forestry contributed $1.2 billion in government revenues, wealth that is shared back with British Columbians through the public services we all count on. The future of forestry is top-of-mind as the B.C. Council of Forest Industries meets in Vancouver this week. The challenges facing the industry are not new but they are intensifying. … The status quo is not an option. It is time for a new vision for forestry in B.C.’s Interior. To build that vision, we need a new approach. As premier, I am calling on industry, labour, First Nations and communities to work together to develop a new vision for our Interior forest industry at the regional level. GLENDALE, Ore. – A lack of timber supply has forced Swanson Group, a Southwest Oregon-based forest products manufacturer, to shut down one of its sawmills. But how could a company located in an area rich with forests fail to secure enough wood? Oregon’s Southwest region and in particular the small, rural town of Glendale are surrounded by forests owned by the U.S. Forest Service and Bureau of Land Management. This is a region, according to Oregon’s The Register-Guard and The News-Review, that’s plagued with wildfires caused by the federal government’s failure to properly manage the region’s forests. Local media say trees on the nearby federal lands grow at a much higher rate than which they are harvested. Rates of tree mortality and insect infestation are rapidly are also accelerating. 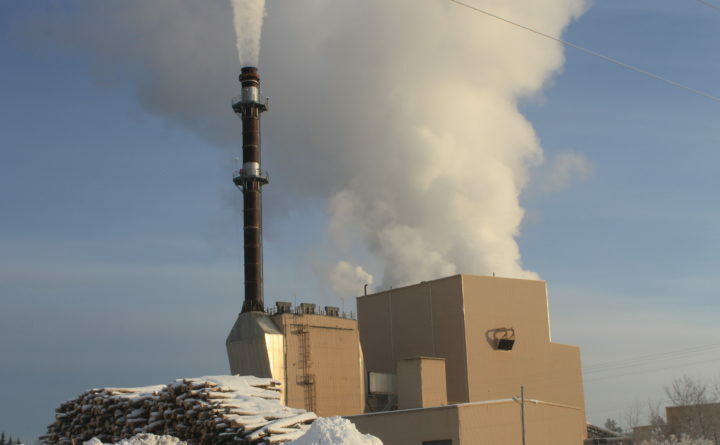 The closure of Aroostook County’s two biomass plants is leaving the region’s sawmills without a ready outlet for all of their woody leftovers, such as bark, sawdust, shavings and chips. ReEnergy’s Fort Fairfield plant closed last November and is now slated for demolition, while the Ashland facility is set to shut down this month, though has no demolition plans, according to New York-based ReEnergy. Each of the two plants had between 22 and 30 suppliers of biomass, including sawmill residuals and wood chips from the limbs and tops of logged trees, ReEnergy communications director Sarah Boggess said. Mill residuals generally came from within a 40-mile radius, while wood chips were trucked in from as far as 60 miles away, Boggess said. One of those mill suppliers, Katahdin Forest Products, is now trucking its mill residuals to the Sappi paper mill in Skowhegan. WINNIPEG—Sustainability has taken on an increasingly important role in Canadian construction in recent years. The energy-intensive processes required to manufacture concrete and steel have, at least in part, propelled another age-old building material back to the fore. …While many life cycle assessments (LCAs) show using wood can lower a building’s carbon emissions, a new study from the International Institute for Sustainable Development (IISD) finds these analyses often overlook several important factors in assessing the “cradle-to-grave” emissions of building materials. Most notably, the Winnipeg-based think tank said typical LCAs do not track or account for “biogenic” carbon — a category that includes carbon losses related to soil disturbances, imperfect reforestation efforts and the conversion of old-growth primary forests to less productive secondary forests. On February 19, the Bahro family, which fled the Syrian war in 2017 and ultimately settled on the outskirts of Halifax, was decimated by a devastating fire. 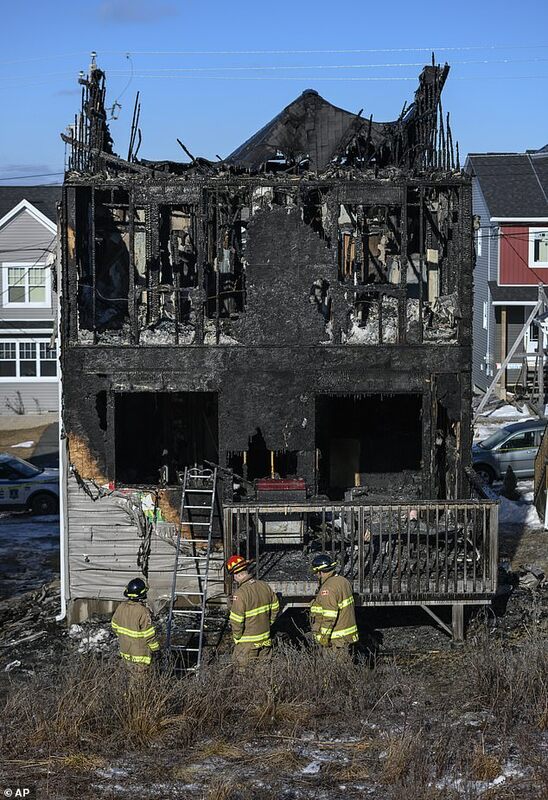 …The Halifax Fire Department’s investigation is ongoing, but the rapid spread of the blaze reflects a type of fire that is becoming more and more frequent, particularly for relatively new homes. …Vince Mackenzie, Fire Chief of Grand Falls-Windsor, said that due to the construction materials that are now commonly used, as well as the abundance of plastic objects, fires can burn 8 to 9 times faster than when he started his career 35 years ago. …For example, contractors use inferior quality lumber or composite materials such as chipboard instead of plywood. …At the structural level, the easier to handle and more practical I-beams have replaced the solid wooden columns and beams of the past, which had a longer resistance to flames. Time Magazine… got this story wrong. 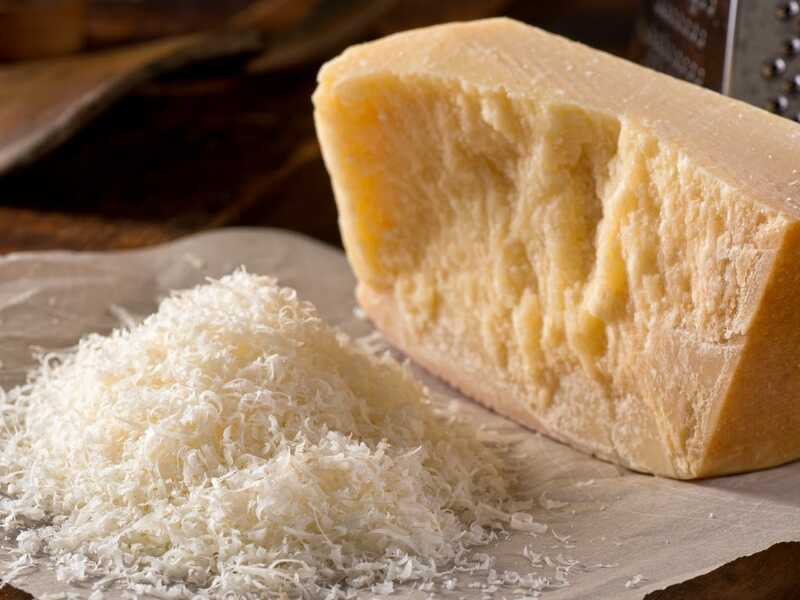 “The U.S. Food and Drug Administration warned that products labeled ‘100% Parmesan’ might actually contain cheese substitutes like wood pulp” claimed Time. Well, the FDA did not issue any such warning. What it did to was send a letter, in 2012, to Castle Cheese about the company’s grated Parmesan cheese containing more cellulose than the 2% that is commonly allowed as an anti-clumping agent, but there was no mention of wood pulp. Then a few years later, in 2016, Bloomberg News commissioned a study of grated Parmesan cheeses and found that some contained up to 8% cellulose. “The Parmesan Cheese You Sprinkle on Your Penne Could Be Wood,” screamed the Bloomberg headline, setting the blogosphere on fire. The wood connection sprang from the imagination of an overeager headline writer. Yes, cellulose can come from wood pulp, but it can also come from asparagus or any plant material. And its origin is irrelevant. A highrise built out of timber, not steel? It’s a solid idea according to QUT structural engineering researcher Dr Craig Cowled, who’s embarked on a three-year project to work out the perfect way to build carbon-storing, timber-framed “plyscrapers”. He’s a big fan of the environmental credentials – and cost savings – of building tall buildings out of timber, rather than concrete and steel, and wants to boost this fledgling segment of the construction industry. 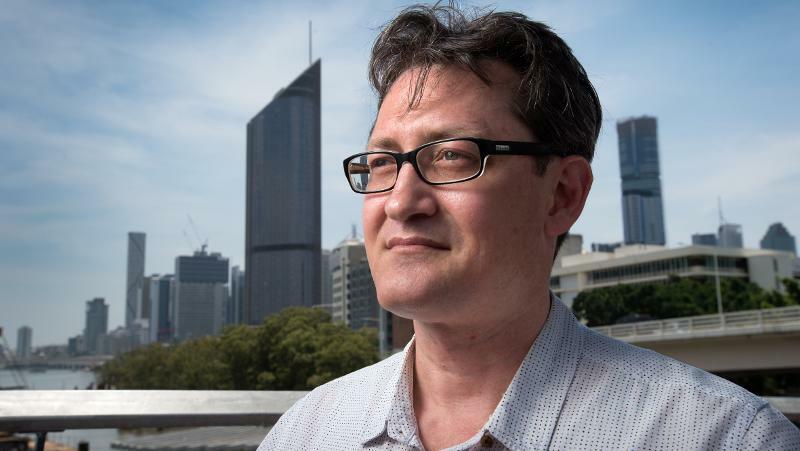 Dr Cowled has been awarded a $240,000 Advance Queensland Aboriginal and Torres Strait Islander Research Fellowship to research and develop a new building system and guidelines for timber buildings up to eight storeys. He says they are cheaper and faster to construct – and use a sustainable resource that locks away carbon for the life of the building. Smoke plumes are rising from the backcountry all around Prince George. 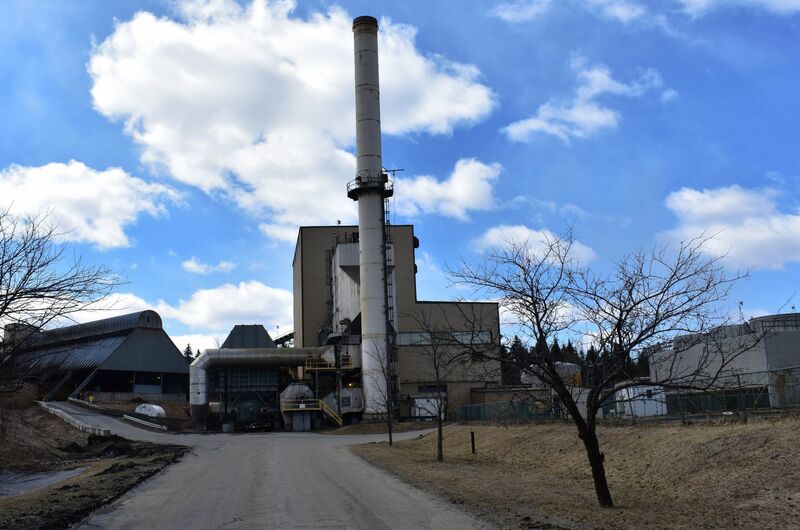 They are the telltale signs of spring in the forest industry, the annual burn-off of wood waste from winter logging, but the bioenergy sector is fuming over this old way of scorching the leftovers. Every one of those debris piles is burning jobs that Prince George workers could have had, said John Stirling, president of Pacific Bioenergy. …Why, then, ask company officials, are brush piles burning all around the city when all of that woody debris? …There is a chain of command in the forest and that is what keeps bioenergy companies from automatically capitalizing on the piles of debris littering the local forest after any harvesting operation. …They have long-standing deals with the lumber companies and in the case of Canfor the lumber and the pulp interests are owned together. Two trails groups are hoping by creating a non-profit logging company that fewer trees will be taken down in the Carmi area. Neda Joss from the Carmi Recreational Trails Group and Andrew Drouin from the South Okanagan Trail Alliance were before the regional district board Thursday asking for a support letter for the formation of a Community Forest company that would include land used for Carmi recreational trails and the surrounding intensive recreation area. The Regional District of Okanagan-Similkameen board voted unanimously to provide a letter of support, which will be used in an application to the Ministry of Forests, Lands, Natural Resource Operations and Rural Development. The idea also requires buy-in from the city of Penticton and the Penticton Indian Band. Members of the BC Wildfire Service engaged in a helicopter hover-exit exercise at Qualicum Beach Airport on Wednesday, April 3. The session was a training certfication exercise, conducted every year in preparation for the coming fire season. It involves members learing to enter and exit a helicopter as it hovers above the ground. “We do this every year to recertify for the helicopter operations we need to do on wildfires,” said TJ Hamre, a forest firefighter for eight years and one of the program trainers. Hamre said those involved are all excited to resume training and assist new recruits. Last year was the worst fire season on record in British Columbia. Between April 2018 and March 2019 there were 2,112 wildfires, torching 1.3 million hectares of land. Roughly 40 per cent of fires are human-caused each year. 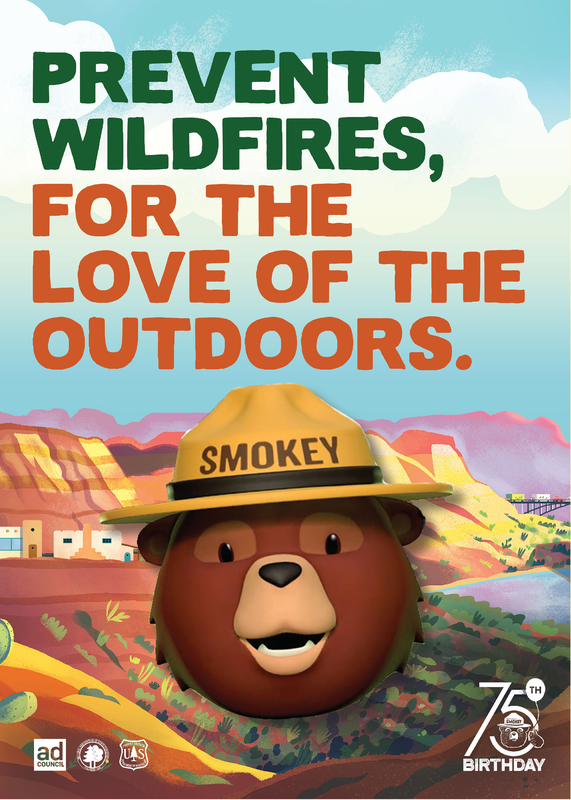 WASHINGTON — In honor of Smokey Bear’s 75th birthday – August 9, 2019 – the U.S.D.A. Forest Service, the National Association of State Foresters and the Ad Council have teamed up to celebrate the nation’s favorite bear. To ensure that Smokey Bear’s important message of wildfire prevention is heard throughout the nation, Stephen Colbert, Al Roker and Jeff Foxworthy have joined the historic campaign, lending their voices to help expand on Smokey’s iconic “Only you can prevent wildfires” catchphrase through the use of facial recognition and voice technologies. For years, through the voice of Academy-Award nominated actor Sam Elliott, Smokey Bear has only said five words: “Only you can prevent wildfires.” Now, to complement this signature message, Smokey’s friends are stepping up to say more about wildfire prevention on his behalf and help millions of Americans understand the importance of the issue. The Trump administration’s 2020 budget proposals call for cutting nearly $560 million in wildland fire management. Oregon Sens. 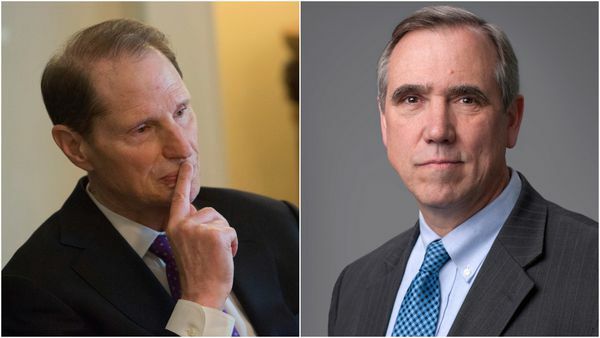 Ron Wyden and Jeff Merkley joined a chorus of fellow Democrat senators from western states urging the Trumo administration to reverse the spending plan. The administration’s 2020 budget proposal cuts funding from nearly every U.S. Department of Agriculture and Department of the Interior account related to forestry. The seven senators, all Democrats, in a letter to Interior Secretary David Bernhardt and Agriculture Secretary Sonny Perdue, stated the firefighting budgets are “profoundly low and will fail the nation, leading to lost lives and billions in damages.” …“We urge you to reconsider your inadequate budget submission and send Congress an amended request that more appropriately matches the science-based restoration needs of our shared federal forests,” they concluded. OREGON — The Rogue River-Siskiyou National Forest already has exceeded its wildfire fuels reduction goal, but is racing to remove more trees and brush before the start of the summer wildfire season. Forest Supervisor Merv George Jr. briefed Jackson County commissioners Thursday about the progress being made to try and avoid a repeat of the 2018 fire season. For the second summer in a row, residents endured months of smoke that harmed their health and the local economy. …The Rogue River-Siskiyou National Forest hit its target to reduce fuels on 6,000 acres this fiscal year. Crews are continuing to burn small-diameter trees and brush thinned from area forests before fire season restrictions curtail work in the woods. …The work to restore forests is needed due to a century of wildfire suppression, climate change and past destructive logging practices. New Jersey is at the peak of its wildfire season, but the dynamics are shifting. Since a forest fire chewed through 18 square miles of the Pinelands last weekend, New Jersey has continued to be at an elevated risk of fire danger. We are smack in the middle of when wildfires are most prevalent in New Jersey, according to David Robinson, the state’s official climatologist. The air is dry. The sun is shining. Leaves and needles are shriveled and covering the forest floor, providing plenty of available fuel. Most crucially, the wind is blowing as the seasons change. …The National Weather Service expects about ½ inch of rain today starting early this afternoon. Every part of the state — from the Pinelands to the oak tree forests in the northwest — should get some measurable moisture. A giant forest fire swept across swathes of South Korea Friday, as authorities declared a rare national disaster, deploying 900 fire engines and tens of thousands of personnel to bring it under control. Apocalyptic images on television and social media showed walls of flame lighting up the night, buildings engulfed in flames, and clouds of smoke billowing across hillsides during the day. The blaze broke out late Thursday alongside a road in the town of Goseong, in the far northeast of the country and only around 45 kilometres from the border with the nuclear-armed North. Fanned by strong winds it quickly spread through the mountainous area, incinerating 400 homes and 500 hectares of land, according to the government. Nearly 4,000 people were evacuated and one person died, authorities said, while 11 were injured. The Government’s One Billion Trees programme is realising economic, environmental and social benefits across regional New Zealand through its forestry joint venture agreements, just a year after it was launched, Forestry Minister Shane Jones announced today. A total of 21 joint ventures have been signed between Te Uru Rākau (Forestry New Zealand) – the lead agency of the Programme – and landowners across the country. The latest joint ventures to be signed are with Te Uri o Hau which will see 2843 hectares of plantation forestry planted on the Pouto Peninsula in Kaipara; and Tapuwae Inc covering up to 800 hectares in the Tapuwae Forest in Hokianga. “These agreements are seeing planting and silviculture jobs created that weren’t there before, they’re offering landowners, including Māori, the ability to diversify income and improve land productivity, and they’re creating real environmental and social benefits too. Climate change experts accept that reducing greenhouse gas emissions – even doing so substantially – won’t be sufficient for limiting atmospheric warming to the 2°C (3.6°F) goal of the Paris Climate Agreement. And with carbon capture technologies years away from maturity and widespread commercialization, one option is to take advantage of proven nature-based systems for sequestering carbon. That is the central message of a recent article in the journal Science Advances. …In particular, the study authors identified reforestation – replanting historically wooded settings that no longer have forests – as the natural solution with the most potential to capture additional carbon. They found that actions like improving tree plantations, managing cropland nutrients, and restoring tidal wetlands also offer promising mitigation opportunities, but on a much smaller scale. WHITEFIELD — Citing the failure of Eversource to come to terms on a new power-purchase agreement with six of New Hampshire’s biomass energy producers, four producers are suspending fuel purchases and operation. Douglas York, manager of the DG Whitefield biomass plant in Whitefield, said his facility would cease operations as of today, adding that a sister plant in Springfield would do so on April 13. Meanwhile, Hunter Carbee, the wood-energy representative for the NH Timber Harvesting Council, said both the Pinetree-Bethlehem and Pinetree-Tamworth plants stopped buying biomass on March 29. He added that the Bridgewater Power Co. is “limping along” but that both Burgess Biopower in Berlin and Eversource’s Schiller Station in Portsmouth remain open.